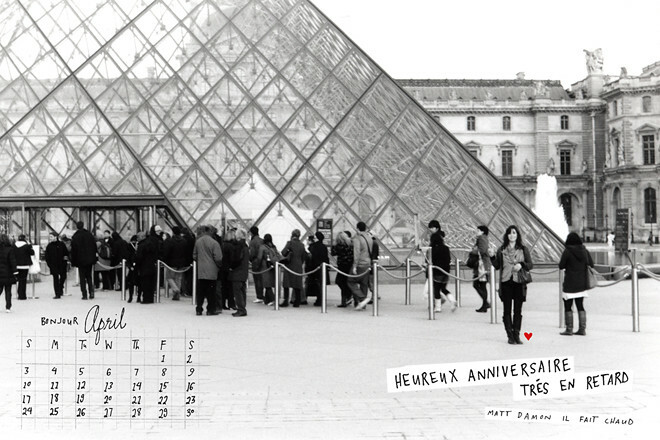 In October Eva asked me if I would make her a desktop calendar for her birthday, which is in November. Uhh, well, I missed November and December, January, etc. But at last, here it is Eves, trés en retard! I know that everyone out there will want to download this too, so here are some links, hot dog! [photo by Yossy of Apt. 2B, design by BDR].